STS Technical Services is hiring Facilities Technicians in Greensboro, North Carolina. 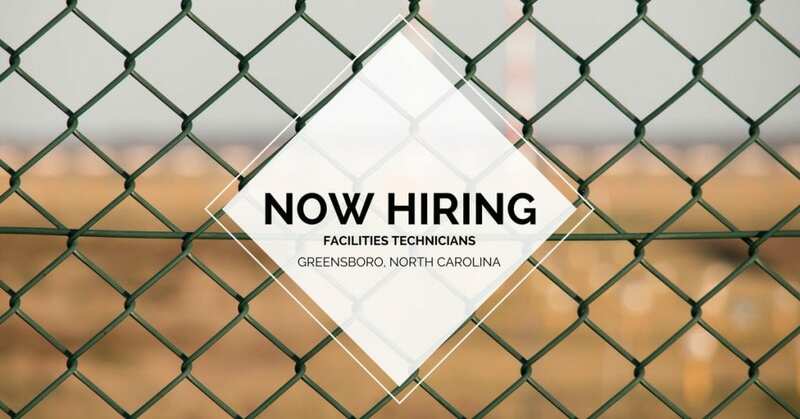 Individual will work closely with the Facilities Maintenance Coordinator and Facilities Supervisor to support facilities systems, building and grounds activities. In addition this individual will support the activities of other groups within the Facilities Department. Monitors contractor performance and works closely with outside vendors and contractors to ensure work is completed according to specifications. Perform scheduled preventative maintenance on all electrical equipment and systems to include Switchgear, Motors, Transformers, VFD’s, Lighting and Overhead Cranes. Performs routine preventative and corrective maintenance of building, grounds, heating and ventilation and air conditioning systems. Overall responsibility for the maintenance and repair of building system infrastructure, including upkeep of buildings, grounds, equipment and electrical systems. Provide basic maintenance and repair of plumbing systems as directed, to include repair of leaking fixtures, unclogging drains. Troubleshoot, maintain and perform basic repair of minor building electrical problems, such as changing lamps, ballasts, fixtures, switches, outlets. Performs other maintenance duties as assigned by the Facilities Supervisor. Assists with inspections on life safety systems to include but not limited to fire extinguishers, fire pumps, emergency lighting and power generators, back-up power systems and elevators. Notifies Supervisor of corrective actions needed. Adheres to safety policies, industrial practices. Performs other duties assigned, including emergency call-in and shift rotation. Must be able to work any shift that HACI management determines necessary to support production demands.